ALMA telescope. 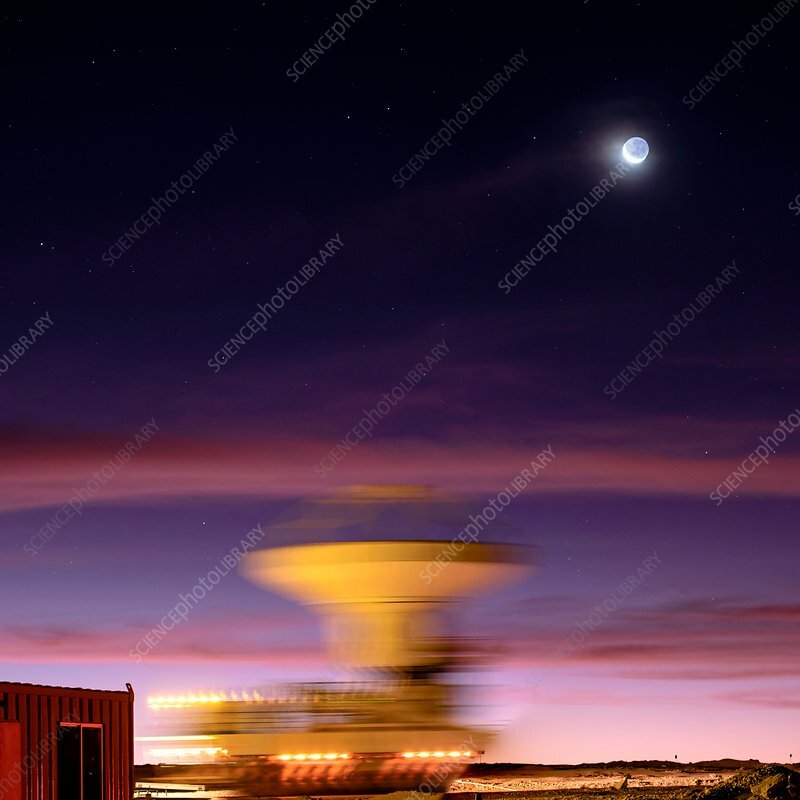 Time-exposure image of the moon over one of the telescopes of the Atacama Large Millimetre Array (ALMA) being moved on a giant telescope transporter in the Atacama Desert, Chile. The radio telescope antennas of ALMA are located at an altitude of 5000 metres on the Chajnantor Plateau in the Chilean Andes. They have a diameter of 12 metres, while 12 smaller antennas with a diameter of 7 metres make up the ALMA Compact Array (ACA). Data from the separate antennas is combined by interferometry, making it one of the most powerful telescopes in the world. Each antenna weighs over 100 tons.